Once you submit the application to apply for New PAN Card the next thing you become worried is when you’re PAN Card Application will get processed and when will you receive PAN Card. 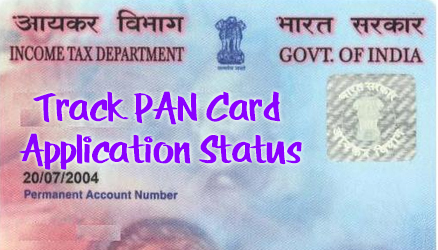 But once submitting the application to apply for PAN Card you can keep track on status of your PAN Card Application, and what’s the procedure on how to Track PAN Card Application Status you will get to know by following below step by step guide. If you have applied for PAN Card through NSDL you can track your PAN Card Application Status by clicking here. And if you have applied for PAN Card through UTI you can track PAN Card Application Status by clicking here. Just Open the respective sites from above links mentioned from which you applied for New PAN Card and track the current status by entering your Acknowledgement Number or Coupon Number. Applicants Applied for PAN Card through NSDL can track status of PAN Card Application by composing SMS NSDLPAN <space> Acknowledgement No. & send to 57575 to obtain application status. That’s it this is how you can check status of PAN Card Application Status.